Anne Murray's, "A Little Good News"
Nobody robbed a liquor store on the lower part of town. Low Roddy bobbed a sticker lore on the po'-er tart of noun. Anne Murray's, "Bitter They Are, Harder They Fall"
And he caught a train. And he taught a crane. Here come the teardrops, bitter they are, harder they fall. Here drum the tear cops, bitter they are, harder they fall. Anne Murray's, "Christmas In Killarney"
It's Christmas in Killarney, with all of the folks at home. It's Christmas in Killarney, with all of the hoax at foam. 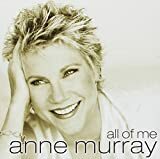 Anne Murray's, "Just Another Woman In Love"
Can't wait till you take me and set all my feelings free. Can't wait till you take me and fret all my ceilings fee. Fire out of control, just another fool. Fire out of control, fist another jewel. A fire out of control, just another fool. A fire out of control, fist another jewel. Beneath this snowy mantle cold and clean, The unborn grass lies waiting for its coat to turn to green. Beneath this snowy mantle cold and clean, The unborn crass lies waiting for its goat to turn to green. Beneath this snowy mantle cold and clean, The unborn lass cries waiting for its goat to turn to green. The unborn lass cries waiting for its goat to turn to green. The snowbird sings the song he always sings, And speaks to me of flowers that will bloom again in spring. The snowbird sings the song he always sings, And speaks to me of bowers that will flume again in spring. And speaks to me of bowers that will flume again in spring.